Radon Testing: Edwards, Vail, Silverthorne, CO | True Perspective Home Consultants, Inc. 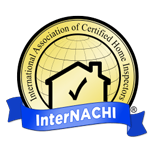 True Perspective Home Consultants offers AARST-NRPP Certified radon testing services for Vail, CO & beyond. Radon is the # 1 cause of lung cancer amongst American non-smokers. Since Radon is a colorless and odorless radioactive gas, it is impossible for humans to detect it. According to the EPA, every home in the U.S. should be tested for potential dangerous levels of Radon even if neighboring homes show little or no signs of inherently dangerous levels. Fortunately, True Perspective Home Consultants have the Radon testing tools to help you check your home's radon levels. Even if there are hazardous levels of Radon found in your home, True Perspective can help you discuss Radon solutions. All you have to do is call us. An Analytical Service Provider can also be certified as a Standard Service Provider, who places and retrieves NRPP approved measurement devices for analysis by an NRPP certified Analytical Laboratory. Individuals holding a Residential Measurement Provider for Standard and Analytical Services certification have demonstrated knowledge of U.S. EPA radon measurement protocols for the placement and retrieval of radon measurement devices. They have also demonstrated knowledge of the proper interpretation of results obtained in residential settings. Furthermore, these individuals possess and analyze radon measurement devices. Depending upon the specific device, this may allow for rapid provision of test results. The testing professional may also be able to characterize trends in radon concentration and determine unusual conditions arising from such influences as weather changes or occupant-tampering of a test. To obtain this additional classification, individuals follow strict quality assurance and quality control guidelines and device specific protocols, and calibrate each instrument annually. The classification is specific to devices with which an individual has demonstrated proficiency.